Partners Curt and Barb Cain, are Business Ministry Partners, meaning they Partner with FMIN through their business, Aspen Patrol and Detective Agency. Curt purchases MP3 Players and loads them with hours of teachings. Then they send them off to India, where they are very appreciated. He has now donated an MP3 Player to all fourteen of our Partners in India! 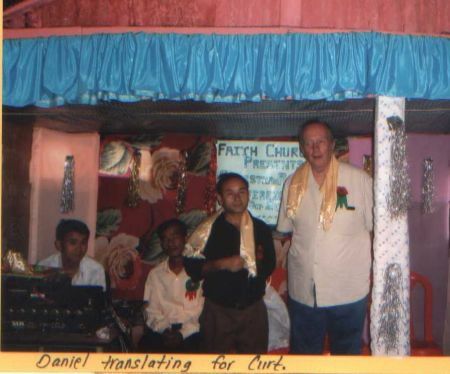 Curt has a heart for India and plans to minister there again in the spring. He states, "I would love to see business persons get involved in touching lives in other countries, by sending books, booklets or mp3 players loaded with great faith teachers. A priority mail package filled up only costs $11.00 to India. (For MP3 players, I put it down on customs form as teaching material, which is an awesome teaching tool. I have had only one not make it so far to its destination.) All over the world these materials can greatly touch lives and FMIN has opened the doors to the unsaved world. After sending material, if the Lord leads - the business person or individual can go to the country God leads them to and share their faith and testimony. The unsaved world is waiting to learn about our Creator. 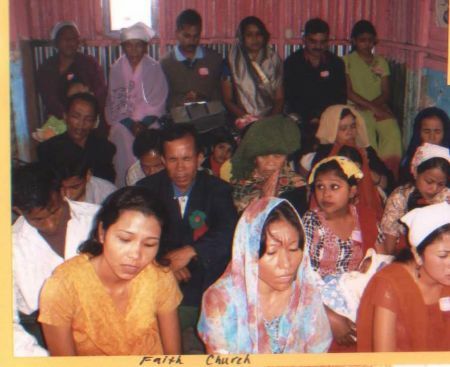 So many lives are waiting to be touched.... Barb and I support a number of pastors in India for the wage of $25.00 a month per pastor and that is a fair wage. So the American dollar does a lot for a small amount." Barb also has her own unique way of ministering. She collects quality jewelry from Aspen business locals and blesses our women Partners in Kenya with her finds. Curt and Barb Cain have found their own way of reaching the world with the love of Jesus and also making our FMIN Partners feel appreciated and loved. 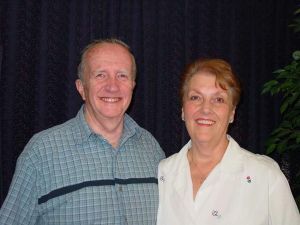 Dear brother Curt and sister Barbara Cain, your labour is not in vain and you will rewarded for all you did for the promotion of His word through your valuable meterials which were sent to FMIN Partners in India. God will greatly bless you and your generousness. What a blessing you two are to the body of Christ! We thank God for you and for FMIN who has embraced this important group of people - God's Business Ministers!